Such exciting news, we have been featured 3 times in the past month in the OC Register! Getting the Celebrations section on Saturdays has become so much fun! 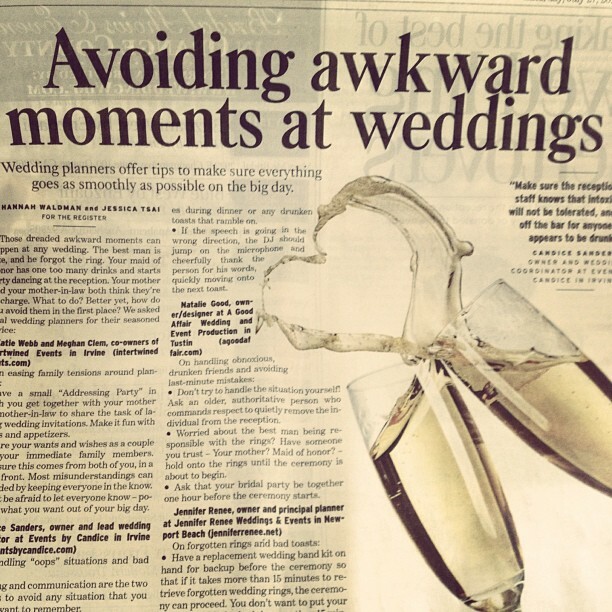 I was first interviewed about “Awkward Wedding Moments”, giving readers some feedback and advice on some of the unfortunate situations that can occur the big day and how to handle them. Great advice for any bride! 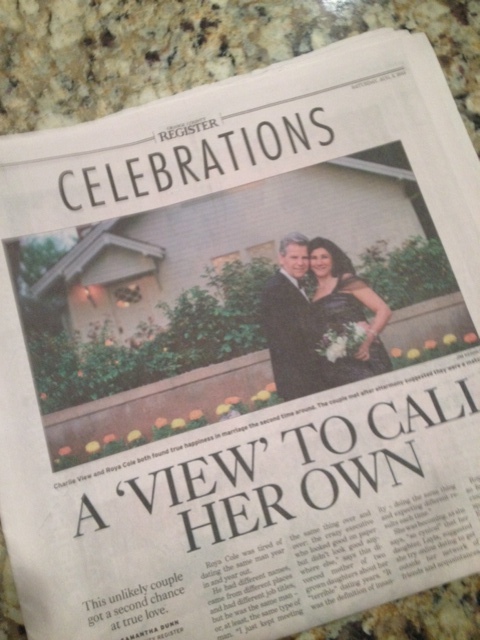 I have since then also had 2 of my amazing weddings featured on the front page of the section. Roya and Charlie and Jayme and Ryan were two of my favorite couples from the season and they had beautiful weddings here in OC. 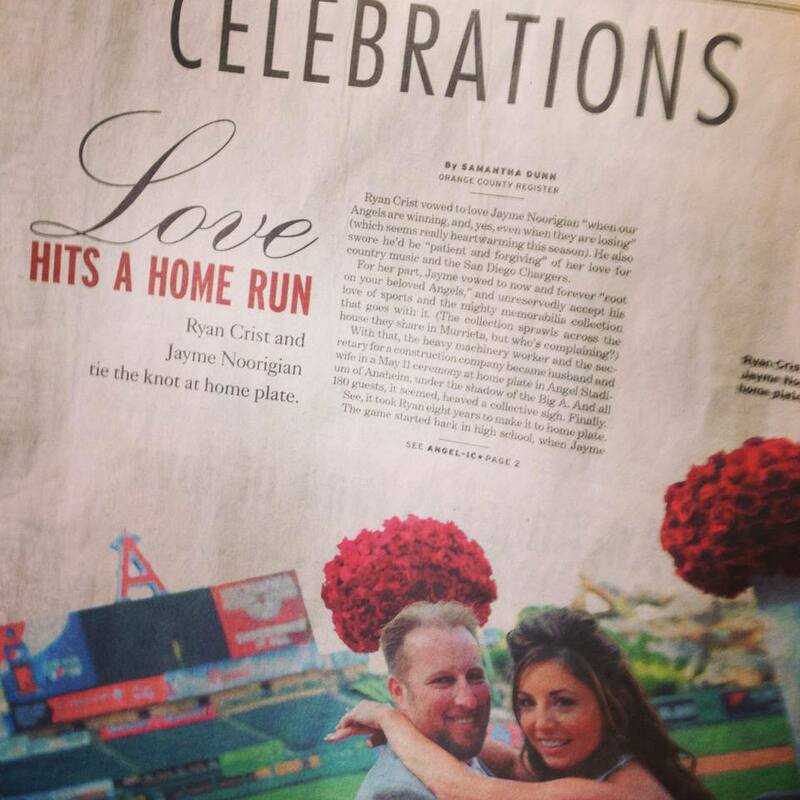 Such amazing couples with such sweet stories, completely deserving of being showcased in the paper!